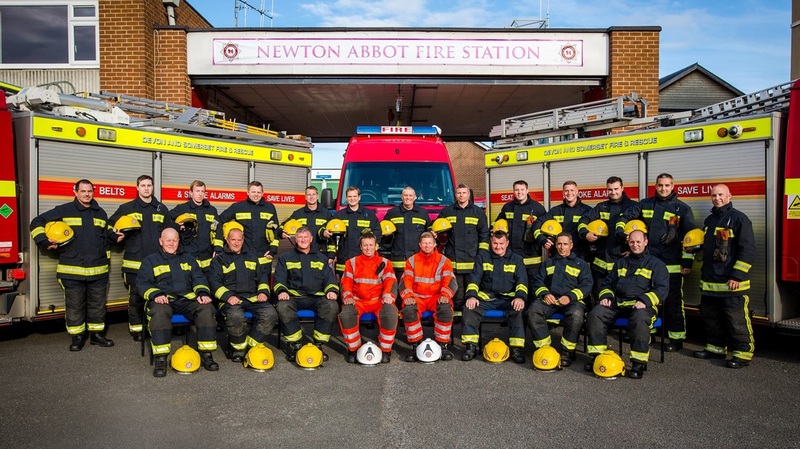 Welcome To Newton Abbot Fire Station. The Fire station was located at the Market Square (in the former fish market) the buildings were built in 1867 and completed in 1871, the fish market closed down in the 1920 s and part of this building was utilized as the fire station. They were demolished in 1977 to make way a new shopping centre. The Officer in charge during war time was a Mr. George Daw , Two Green Goddess fire appliances were stationed at Newton Abbot, followed by a merry weather pump escape and trailer pump, also during the war years a pump was stationed at Sailsbury road and was manned by the auxiliary fire service. Other appliances stationed at Newton Abbot included 2 Dennis Water Tenders, a Dennis Rapier, and now 1x Man Appliance and currently 1 x Reserve Appliance. One of the previous Dennis water Tenders (STT 319) was later taken into private ownership and later converted into a Hose Laying Appliance. The familiar sound of the fire siren which was located on top of the central power station would send the firemen rushing to the station in Market Square, and Wednesday market day crowds would gather around to watch the pumps leave the Station. The Current Station is located at the junction of the Avenue and Kingsteignton Road , and shares its courtyard with the Ambulance Station. It was built and opened in October 1972, And is one of 82 stations in the newly merged Devon & Somerset Fire and Rescue Service, it is a Community Fire Station (Station 28) and consists of two pumping appliances, 1 x Environmental Unit and 1x Station Van, and a total of 21 personnel, of which there are 2 Watch commanders and 3 Crew Commanders, and 16 fire fighters.